SWAY CONTROL KIT FROM CURT. REDUCES THE LATERAL MOVEMENTS OF THE TRAILER CAUSED BY WIND. 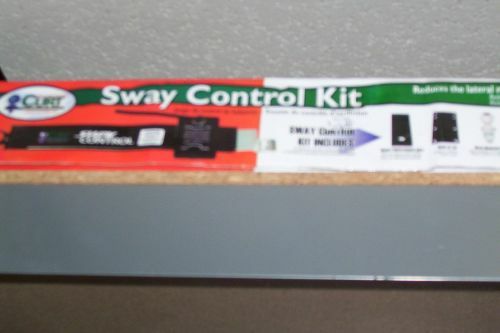 KIT INCLUDES; SWAY CONTROL BAR,MOUNT REINFORCEMENT PLATE,WELD-ON TAB,HITCH-MOUNTED BALL,ATTACHMENT CLIPS,TRAILER-MOUNTED BALL,AND A TRAILER-MOUNTED BALL HARDWARE.